People choose a career as a Certified Nursing Assistant (CNA) in Minnesota for many reasons, and topping the list is a desire to assist people with their basic needs while in a medical facility or long-term nursing home. CNAs are healthcare professionals who have the most consistent contact with patients and residents and play an important role in ensuring clients get needed attention. The Minnesota Depart of Health (MDOH) approves training programs and maintains the Nursing Assistant Registry. It does not take long to become a CNA in Minnesota when certain steps are followed. The first step is reviewing the various routes to certification, and the final step is getting the applicant’s name on the CNA Registry, a requirement to be eligible for permanent employment as a Certified Nursing Assistant. Following are the steps to follow which lead to meeting certification requirements for the CNA or NA/HHA. In Minnesota, students can complete a state-approved program to become a CNA or complete a combined program leading to a Nurse Aide/Home Health Aide (NA/HHA) certification. The choice a student makes influences the program he or she will need to enroll in and the type of certification examination the applicant must pass. Minnesota has a unique set of regulations concerning CNA training because people are allowed to take the test without training. However, an additional rule applies to these applicants. Federal and state law allows people work for up to four months in a nursing home or long-term care facility while completing training. They must be on the Registry, a state listing of people who have met certification requirements, by the end of the four months to continue employment. If a person decides to challenge the certification exam, and has not completed a nurse aide training program or is not enrolled in one, he or she is not allowed to work as a nursing assistant until certified. Following are descriptions of the various eligibility routes to CNA or NA/HHA certification in Minnesota. Complete a state-approved nursing assistant training program and pass the Written and Skills parts of the certification exam within two years of completing the program. Complete a state-approved nursing assistant/home health aide program and pass the Written and Skills parts of the NA/HHA certification exam within two years of completing the program. Show proof of CNA certification, including valid listing on the Registry; complete a state-approved HHA program; and pass the NA/HHA Written Examination. Opt to challenge the test without completing a CNA training program – Minnesota allows people to test out without attending a state-approved training program. However, choosing this option means the applicant cannot work as a nursing assistant until placed on the CNA Registry. 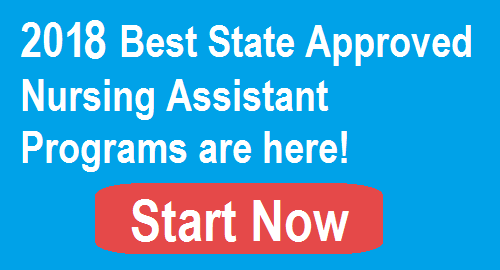 Out of state CNAs – Certified Nursing Assistants who are in good standing on an out of state Nurse Aide Registry, and can get employer verification of having worked at least eight hours as a CNA in the prior 24 months, can request direct placement in the Registry without additional training or examination. If not in good standing on the out of state Registry, it may be possible to retake the exam without retraining. Nursing Assistants who trained in another country – Nursing Assistants who trained in a foreign country can request to challenge or test out of the exam. CNAs who did not work as a CNA in the last two years – If certification was allowed to lapse, the applicant can request to retake the exam without going through training again. Nursing students or graduate nurse candidates – Nursing students who have completed fundamentals of nursing courses, and graduate nurses who have not yet passed the licensing exam, can challenge the CNA exam. Military trained nursing assistants – Applicants who trained as nursing assistants or equivalent healthcare personnel while in the military can request to challenge the CNA exam in Minnesota. The Minnesota Department of Health can answer questions concerning eligibility to test out. For those people who need or want to complete nurse aide training in Minnesota, it is important to choose a state-approved program. There is a wide selection of approximately 145 CNA programs in Minnesota that are offered at technical and community colleges, educational institutes, high schools, nursing homes, retirement centers, long-term care facilities, hospices, hospitals, job corps centers, career institutes and colleges. The following table lists all the state-approved CNA classes in Minnesota. The school list is updated in August 2017. The State requires CNA classes in Minnesota to be at least 75 hours of training and 16 hours must be clinical training. When evaluating programs, keep the following points in mind. One curriculum is offered through the American Red Cross which leads to CNA/CPR/AED certification. AED is the acronym for “Automated External Defibrillator.” There is a separate curriculum used at colleges, training facilities and long-term care facilities. Students can choose to complete a CNA course or a CNA/HHA course. Most CNA courses are structured as non-credit courses. However, schools like Century College in White Bear Lake offer credit and non-credit options. The curriculums are identical, but the credit course requires enrolling in the college, whereas that is not necessary when taking the non-credit course. The two advantages of choosing a credit course is that the four credits can be applied towards a degree should the student choose to pursue one now or in the future. Also, credit courses are eligible for financial aid. The Zandu Health Initiative in Bloomington offers a CNA training program that consists of online courses, on-campus skills training in a laboratory setting and 16 hours of supervised clinical experience. Certified Nursing Assistant programs are offered during the day and evening to accommodate the various schedules of students. Evening classes are an excellent choice for people who are employed and interested in a career change. Federal law allows students to work for 120 days (four months) at a nursing home or long-term care facility while training to become a CNA and/or getting on the Minnesota Registry. The exception discussed earlier is someone who is not enrolled in a state-approved CNA training program. CNA programs in Minnesota can take anywhere from three weeks to a semester to complete, depending on the type of class chosen. Most can be completed within 3-4 weeks. CNA training costs in Minnesota can range from free to approximately $1,250 at the Red Cross. Rates at the various schools can change at any time. Work at a nursing home or long-term care facility while training – The employer will pay for training costs while the student also earns income. Get employed within 12 months of completing training – Federal law requires a nursing home or long-term facility to reimburse a new employee for training costs if the person completed CNA training within the last 12 months. Apply for WIOA funds – The Workforce Innovation and Opportunity Act funds training costs for eligible students. Check with the nearest workforce training center. Apply for scholarships – Sometimes, the financial aid office or program staff can direct students to possible sources of funding, like private scholarships. When evaluating costs, be sure to include all expenses in the estimate. As a minimum, there will be expenses for tuition and fees, textbooks and workbooks, supplies, uniforms, health checks and exam fees. Most programs in Minnesota offer payment plans. Coursework and clinical skills covers all the information and skills required by federal and state law and are those considered important to quality patient and resident care. Training will include a minimum of 59 hours of classroom and 16 hours of hands-on training in a clinical setting for a total of 75 hours. Some programs in Minnesota may require additional training hours. Clinical training is conducted under the supervision of a Registered Nurse (RN) or Licensed Practical Nurse (LPN). The CNA in Minnesota also works under the supervision of the RN or LPN. The Minnesota Department of Health contracted with Pearson VUE to develop, score and report the results of the Nurse Assistant and Nursing Assistant/Home Health Aide exams used in the testing process. The MDOH determines content. The CNA exam that the student registers for depends on the training program completing. It is important to take the right written test in order for it to count towards certification in Minnesota. The skills test is the same for either type of trainee – NA or NA/HHA. There are two parts to the NNAAP exam – Written Examination and Skills Evaluation. Applicants are allowed three attempts within two years of completing training to pass both parts of the exam. The exception is the applicant already working in a nursing home or long-term care facility. That person must pass both parts of the exam within four months of initial employment. The applicant who is not working and does not pass the exam within two years will have to retrain and retest. The applicant who is working will not be allowed to continue working after 120 days. The nurse aide Written Examination has 70 multiple-choice questions. There is also an Oral Examination version available. The testing program for the NA/HHA trainees is called the NA/HHA Combined Program and it also has 70 questions. It will include questions about nursing assistant and home health aide tasks and responsibilities. The Skills Evaluation consists of completing five skills that were taught and practiced during training. A fellow candidate will act as a client. Handwashing is always one of the skills the candidate is asked to perform. The remaining four skills are randomly chosen. To pass this part of the exam, all five skills must be successfully performed. A CNA in good standing on the Nursing Assistant Registry may be able to get certified as a NA/HHA if he or she completed a 75-hour state-approved nursing assistant program, passed both parts of the nurse aide exam and completed an approved home health aide training program. In that case, it may only be necessary to take and pass the NA/HHA Written Examination and not the Skills Evaluation. After passing both parts of the exam, Pearson VUE will send the candidate’s name to the Minnesota Nursing Assistant Registry. At that point, the person can be hired as a Certified Nursing Assistant or Certified Nursing Assistant/Home Health Aide, depending on the training and exam successfully completed. CNA certification in Minnesota is good for two years or 24 months from the date the CNA passed both parts of the competency exam. To renew CNA certification, the CNA must be able to provide employer verification of having worked at least eight hours as a paid CNA during the 24-month certification period. If the certification expires, it may be necessary to retest if Route 4 was initially followed. If Routes 1-3 were chosen, it may be necessary to train or retain, and retest. If the applicant did work the eight hours and allowed the certification to lapse, it may be possible to submit proof of employment and get recertified. The CNA can work in a hospital, medical clinic, certified boarding care home, nursing home, long-term care facility, rehabilitation center and hospice. The NA/HHA can work in these facilities plus provide in-home services.